Qualisys and Trinoma will be exhibiting at the 2016 European Society of Biomechanics Congress on July 10-13 at Cité des Congrès, Lyon, France. Meet Qualisys and Trinoma staff in our booth to learn about our system and services or contact our sales team at sales@qualisys.com to set up a meeting. 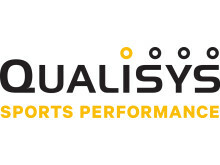 Get your ESB 2016 running with Qualisys, Trinoma and Salomon !